Bring new energy to your divination, magic, and meditation practices with runes. Discover the unique.. 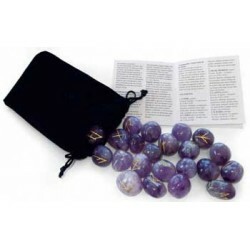 The Hematite Rune set created by Lo Scarabeo provides you with a set of 25 hematite rune stones; 24 ..